Elegant home with 4 bedrooms that can comfortably host up to 8 guests. Its facilities are excellent, classy kitchen, workspace, spacious parking on premises, high-speed WiFi, cable TV and many other topnotch facilities that will facilitate your comfort and relaxation. 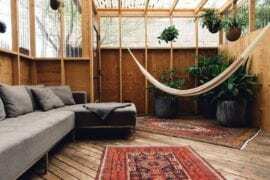 The home has a rooftop deck! 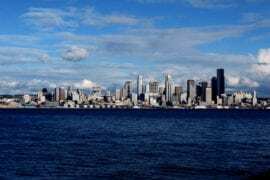 It is in the fabulous Ballard neighborhood in Seattle, so is just a few minutes’ drive from the Seattle-Tacoma International Airport. 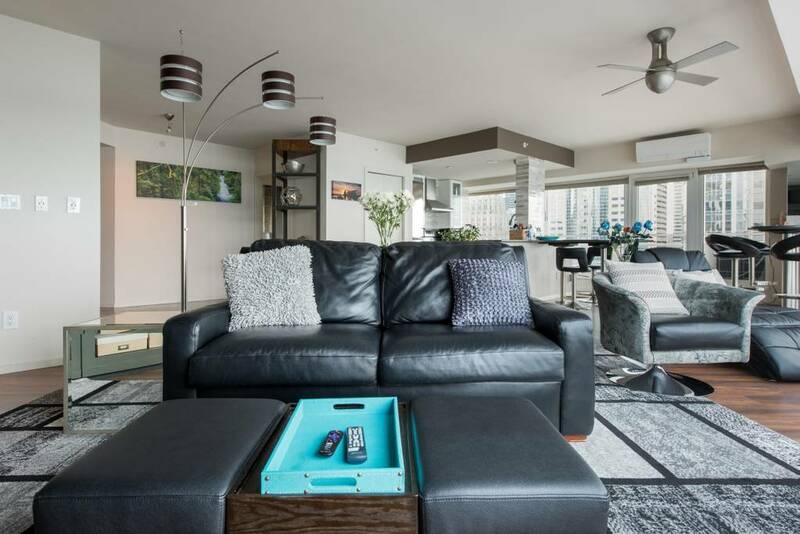 Check out the plush, tastefully decorated interior and a fantastic outdoor area in this luxury 1 bedroom penthouse. 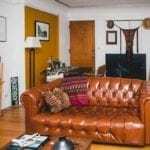 This property offers pool, standard gym, reliable WiFi, laptop friendly work space, hot tub and many more amenities to make your stay comfortable. 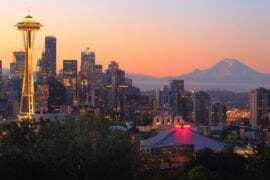 This is in the busy downtown neighborhood of Seattle, so is just a few minutes’ drive from the Seattle-Tacoma International Airport. Need something a bit smaller? 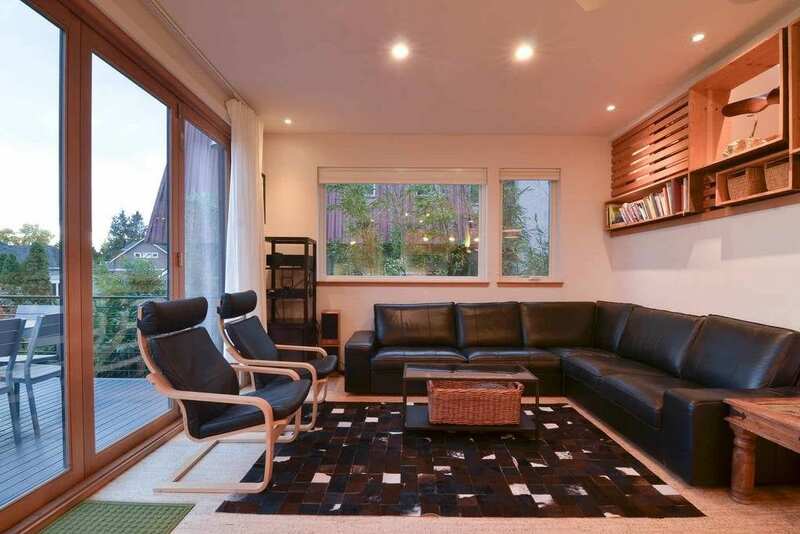 Check out affordable Seattle home rentals HERE. This luxury 4 bedroom home with 6 king size beds so can accommodate 12 guests. Great for entertaining or family gatherings. 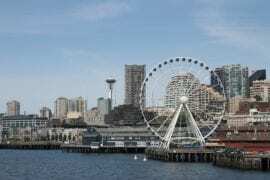 Located near downtown , Pikes Place and the Aquarium. This place has an elegant interior with self check-in, Cable TV, air-conditioned, WiFi. As well as laptop-friendly work space and many more amenities so as to make your stay comfortable. 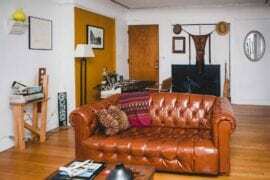 This superb interior is furnished with great facilities to provide maximum comfort and so is perfect for unwinding. This 2 bedroom home has a hot tub, WiFi, Cable TV and much more. 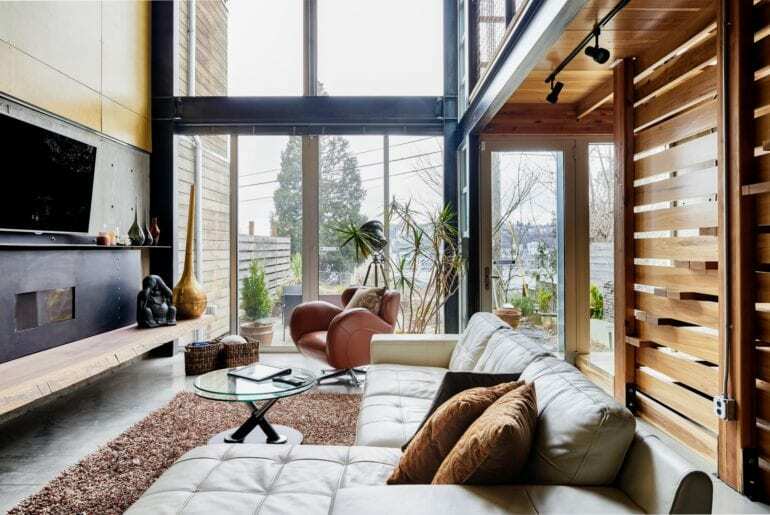 It is located in the center of the Queen Anne area, Seattle. 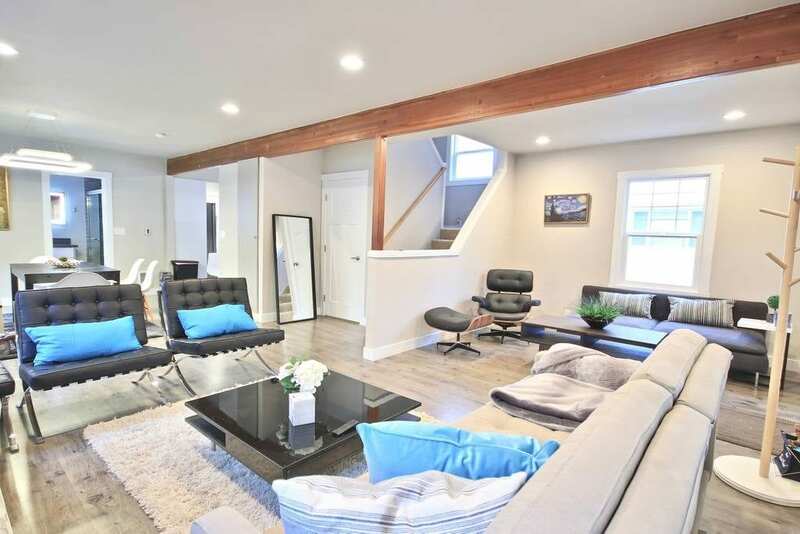 Check out this rare gem of a home in the popular Wallingford neighborhood. This 6 bedroom property is designed to host as many as 12 guests. Private fenced back yard perfect for entertaining groups or family gatherings. Excellent facilities including Cable TV, WiFi, work space, fully-equipped kitchen. Need something luxurious? 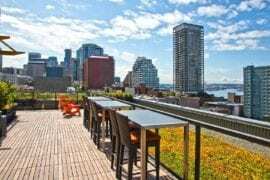 Check out our high end Seattle listings HERE. 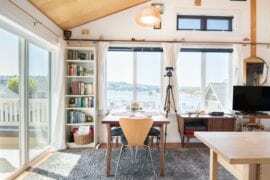 This cozy houseboat has recently had a professional makeover so you can experience on the water living in Seattle. 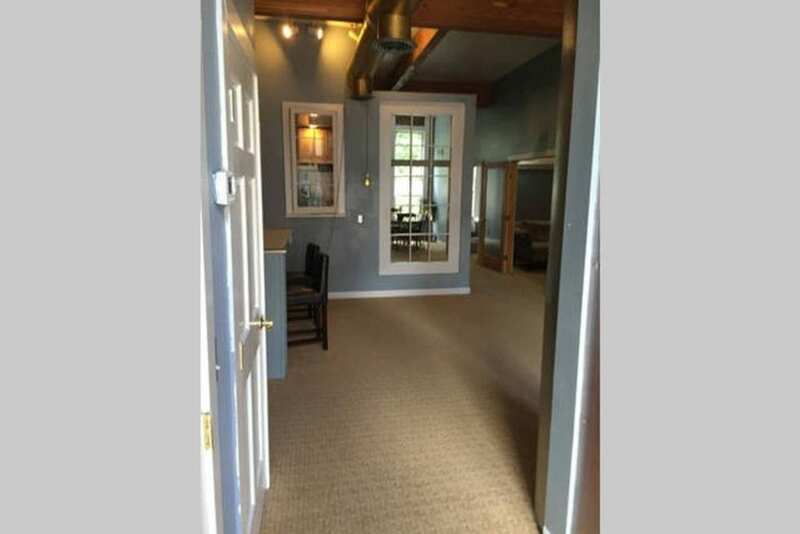 Located in a quiet marina just a short drive to downtown. 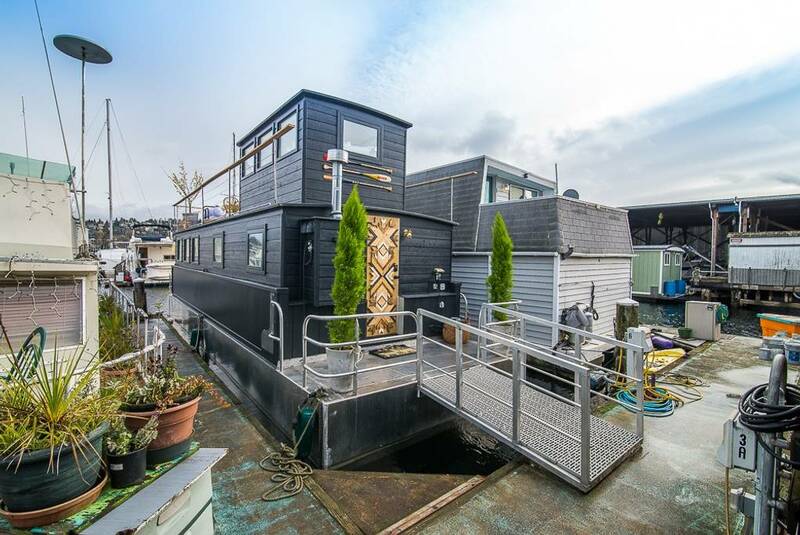 Enjoy roof top deck views of Lake Union in this 2 bed, 2 bath floating home on the water. All amenities provided. 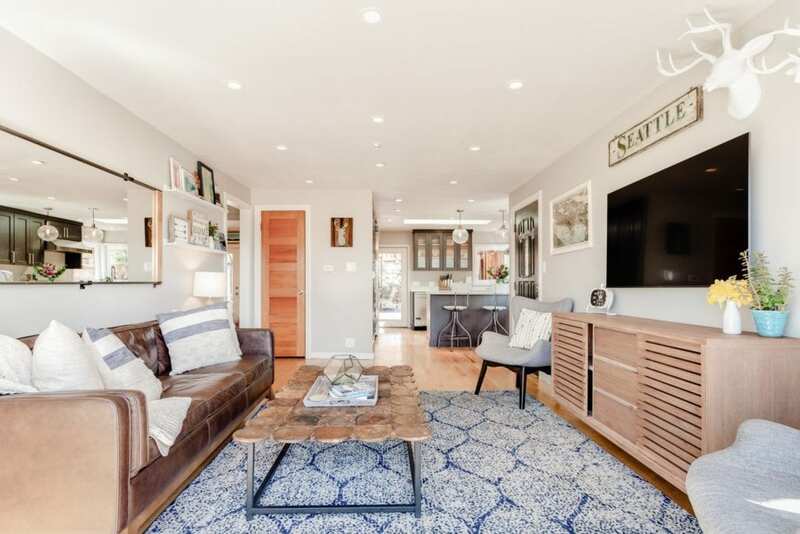 Sunny townhouse in the thriving Capitol Hill area of Seattle. This 3 bed, 2.5 bath home can house up to 6 guests. Constructed from modern wood, glass and steel this property has sweeping deck view of Lake Union and Seattle. Recently named the Most Beautiful Airbnb in Washington State by Architectural Digest. 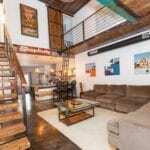 Spacious deluxe apartment with access to rooftop deck. 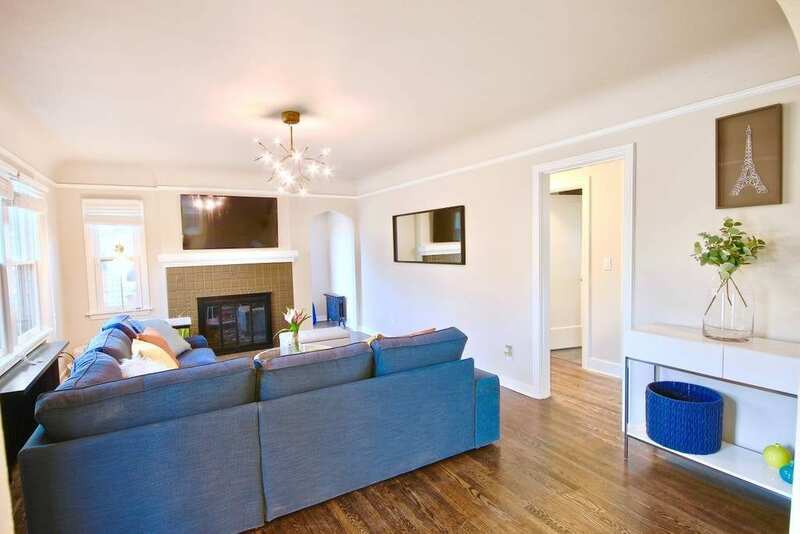 This 3 bedroom 1 bath apartment is located on the vibrant Pioneer Square. An area known from its lively nightlife and bustling social scene. Close to bars, restaurants, pubs and clubs.